Call Ware Fencing Today To Transform Your Yard! If you are in need of qualified fence contractors that provide affordable fence services, call the experts at Ware Fencing in Crowley and Fort Worth, TX! We have years of experience with fence repairs, fence installations, and fence replacements too. Our professional contractors are capable of working with any type of fence, and we proudly offer our services in residential, commercial, and farm or ranch properties. We even offer certain types of stone work! When you call us at 817-948-4503, our friendly associates are prepared to help you through every step of the way. Whether this is your first time purchasing a fence, or your hundredth time, our contractors are prepared to offer as much help as you need. We will help you choose the ideal fence for your property, that not only meets your budget but also offers the right amount of protection and style as well. We have been providing the Crowley and Fort Worth, TX area with our expert services for years, and we look forward to serving you, as well. Give us a call today! 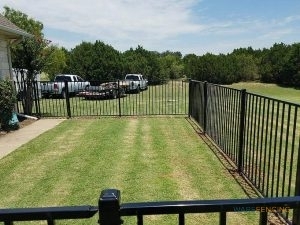 When you need the right fence at the right price, you can count on the experts at Ware Fencing in Crowley and Fort Worth, TX. Call today to get started!